What kind of party should we have? Where will we get the cake? How many people should we invite and what will we feed them? Who knew that planning a baby’s first birthday party would raise as many questions as caring for the baby in the first place? Okay, so maybe the first birthday party isn’t quite as hard to manage as the first diaper change, first teething session or every late night feeding, but it is an event that takes some consideration to plan. Whether you’re looking for the perfect first birthday party menu, contemplating a party theme or searching for games to entertain your guests, these ideas can help you navigate your way through the first birthday planning process. Need ideas for putting together a fabulous first birthday party? Going with a theme is a great way to keep on track and organized. This collection of party themes offers a variety of ideas for parents planning this milestone celebration. From a party that celebrates the apple of your eye to a theme based on the popular children’s show, Sesame Street, perhaps one of these favorite first birthday party themes will be a favorite of yours, too! The flurry of activity as guests celebrate with your baby may be enough to entertain the birthday child, but chances are you’ll have people of all ages in attendance. Activities designed to occupy everyone from babies to grandparents offer a chance for guests to engage in fun activities and create special memories in honor of the occasion. From a soft play area for the smallest of guests to the building of a time capsule, this selection of first birthday party ideas may be just thing you need to plan a memorable event for everyone. Wondering what to do about first birthday gifts? Want more party theme ideas? 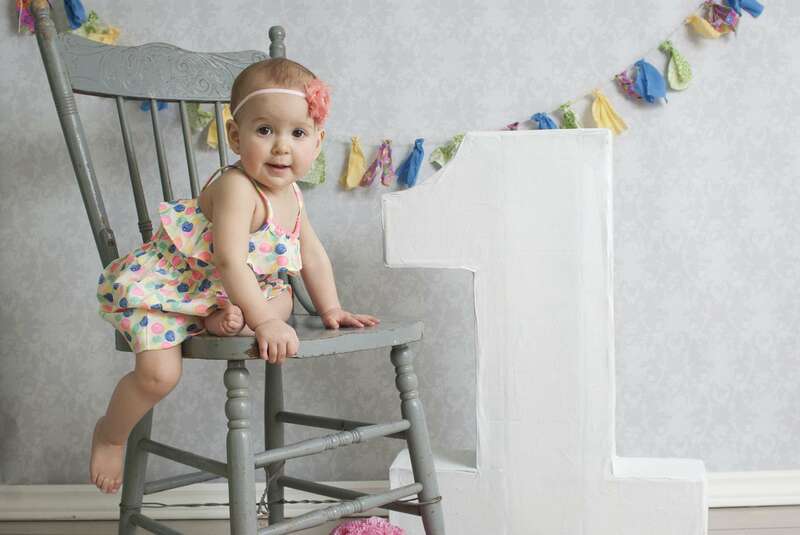 Ideas for everything from the wording of the invites to tips for baby’s first birthday cake -- including advice on blowing out the candle – can be found in this article by Megan Cooley. Check out these ideas for fun birthday cakes made from boxed mixes. You don't need to be a master decorator or know how to work with fondant to create a fun and delicious theme cake. Not sure if just birthday cake is enough? These tips for planning the meals for a kid’s party can help you decide whether you need to serve a full meal, some light snacks or just let them eat cake. Once you’ve determined the type of meal to serve, read on for ideas to fill your party menu. Caring for a one-year-old takes a lot of time and effort. Who needs to fret over party details? This party planning timeline provides a week-to-week schedule of things to do in preparation for a children’s birthday celebration, along with a sample itinerary for the party itself. With all of the essentials checked off ahead of time, parents can actually kick back and enjoy the big day when it arrives. With so much else to plan, it’s may be easiest to simply pick up a package of pre-printed invites at the card shop. This is perfectly fine since what matters most is that the people you love attend, no matter how they are invited. If you want to make your own invitations, however, these tips can help you choose the homemade option that best suits your occasion.